A leading provider of interactive learning products and services, a pioneer in the field of advanced eLearning technology, and the first to convert interactive classroom instruction to multi-media solutions including on-line streaming, DVD ROM. See our flyer to learn more. Provides free SAT preparation software for military children. 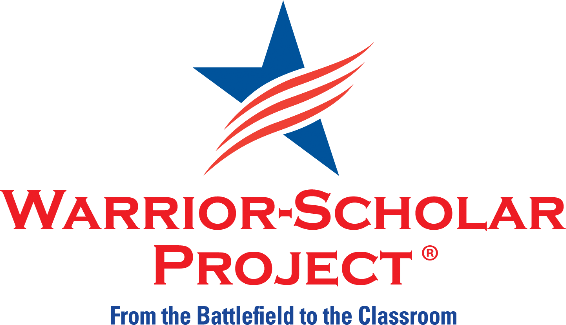 Warrior Scholar Project is a nonprofit organization that provides personal mentorship, tutoring, and other forms of assistance to children of fallen service members and veterans in the college application, admissions, and assimilation process. Warrior Gateway is a reliable resource for the military community to quickly locate service organizations that satisfy their needs, identify academic programs they are interested in and easily find employers seeking their valuable skills. We’ve gathered in-depth information on top-ranked accredited online colleges and created a database search that helps you find a degree program that meets your degree level, category and subject of interest. Here, you can also search between nationally and regionally accredited colleges and learn about the accrediting agencies that fall under these two categories. Every child possesses unique talents. Our mission is to help each child discover and develop these talents along with the child’s self-esteem. By providing praise, encouragement, guidance and superior academic instruction, our program will result in the child becoming a more confident, responsible and productive adult in society. The appearance of hyperlinks does not constitute endorsement by the Children of Fallen Patriots Foundation, Inc. (the Foundation) of any linked web site or any information, products, or services contained therein. The Foundation does not exercise any editorial control over the information you may find at these linked web sites. Hyperlinks are provided only as a courtesy to our users.